March 2, Oscar night, could have a distinctly Orange tint this year. Craig Borten ’87 and Chris Renaud ’89 have been nominated for Academy Awards for their work on two very different films that came out during 2013. 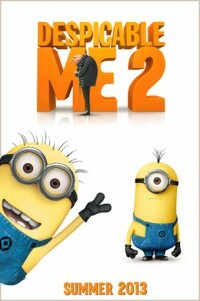 Chris Renaud is Oscar-nominated as co-director of “Despicable Me 2.” He also lent his voice to the minions. Borten was nominated for his original screenplay for “Dallas Buyers Club,” which is also nominated for Best Picture. Renaud co-directed “Despicable Me 2,” which is nominated for Best Animated Feature Film.” He also lends his voice to the minions, the bad guy’s little yellow helpers. Borten earned a B.A. in political science from The College of Arts and Sciences. 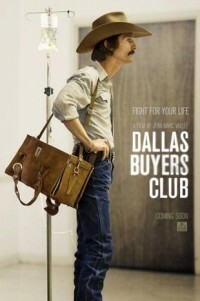 He first interviewed Ron Woodroof, the real-life main character in “Dallas Buyers Club,” in 1992, but it took 20 years to get the AIDS drama made. The movie went through several sets of prospective producers, directors, stars and financiers in that time. Finally, it was filmed in 2012 with Matthew McConaughey as its star and French-Canadian Jean-Marc Valley directing. Borten also wrote “Looking for Jimmy” (2002) and “The 33,” which is scheduled to come out this year. Renaud earned a B.F.A. in illustration from the College of Visual and Performing Arts. He began his career as a graphic designer in the sports entertainment industry, then began drawing and writing comic books. From there, he transitioned into children’s television and then into animated films. He worked as a story artist on such films as “Robots,” “Ice Age: The Meltdown” and “Horton Hears a Who!” In 2006, he was nominated for an Academy Award for “No Time for Nuts,” an animated short that he wrote and co-directed. Renaud has lived in Paris since 2008 with his family.